In my blogging absence, I have been finishing up the unpacking and organizing at our new place. I haven’t done very much cooking in the past week, but grocery shopping is something that I just can’t get away from. I’m pretty sure that I’ve actually been at the store more than usual during the past few weeks. I thought this would be a great time to share the apps that I like to use for saving money on groceries! I do regularly use old-fashioned coupons and, I have to say, I’m a little upset at all of the extreme couponers in the world. They’ve definitely made coupons a very dreaded thing for checkout people everywhere. That’s why I love these rebate apps. 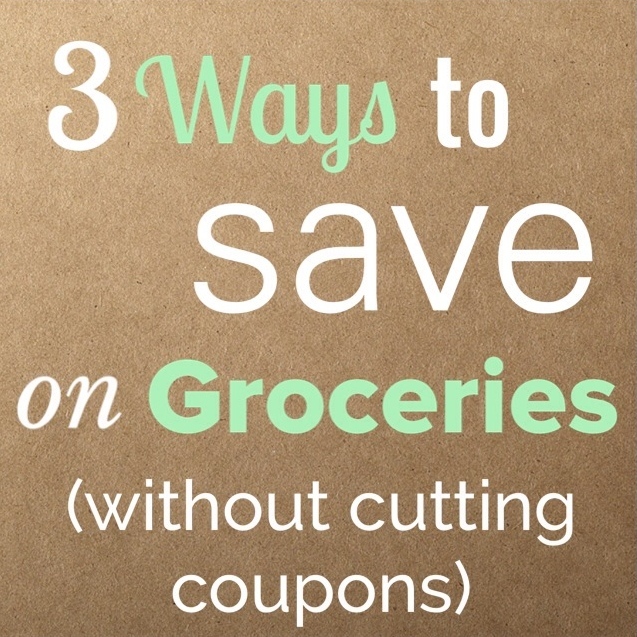 Use them along with coupons, or forget the hassle and just use the apps! They don’t require the cashier to scan anything. Saving with these apps takes very little time or effort, and you can use all of them on the same purchases. I was able to use a similar deal on Ibotta and Checkout 51 to get several boxes of cereal for “free”. Ibotta | This is an app that offers cash back on groceries that you’ve purchased. All you have to do is scan the barcode of products that you have purchased and submit a picture of your receipt. When your savings have added up to $5, you can cash out your rebates via PayPal or an e-giftcard. They rotate rebated items frequently. Items include: health and beauty items, cleaning products, and fresh grocery offers! Click HERE to sign up. Checkout 51 | This app is very similar to Ibotta, but your savings have to reach $20 before you can cash out… and instead of receiving an instant PayPal deposit, you have to wait for a check to be mailed to you. Walmart Savings Catcher | This is a new program that Walmart has launched. After shopping, log into your Savings Catcher account and input your receipt number. Walmart will then look over the advertised prices from other stores in your area. If they find cheaper prices (on items that you purchased) they’ll give you the difference on a Walmart giftcard. I’ve only been using this feature for several weeks and I’ve already accumulated $15! What ways do you use to save on everyday items? Share them here! Love this! I don’t know why I’m so out of date. I’m checking into the Walmart one asap. Thanks for posting! I think it’s a fairly new program, I hope they keep it around for good! Thanks for the info on the Walmart app. I’ll definitely be looking into that. Thanks again for sharing! It’s definitely worth checking out, happy saving! Oh! Thanks for sharing these money saving suggestions. I haven’t heard of the first two. I print coupons from Target.com, which can be used with a manufacturer coupon, then use the cartwheel app and my target redcard debit card for additional savings. I also sign up for emails and always do a Google search before making a purchase online. Thanks for mentioning that, I’d forgotten about the cartwheel app! Because we don’t live super close to one, I usually go to Target just for fun shopping. I should start printing out their coupons, I definitely prefer shopping there!